(AP) LONDON - The first U.S. swimmer to compete at five Olympics has some advice for Ryan Lochte and anyone else who wants to beat Michael Phelps: Keep quiet. 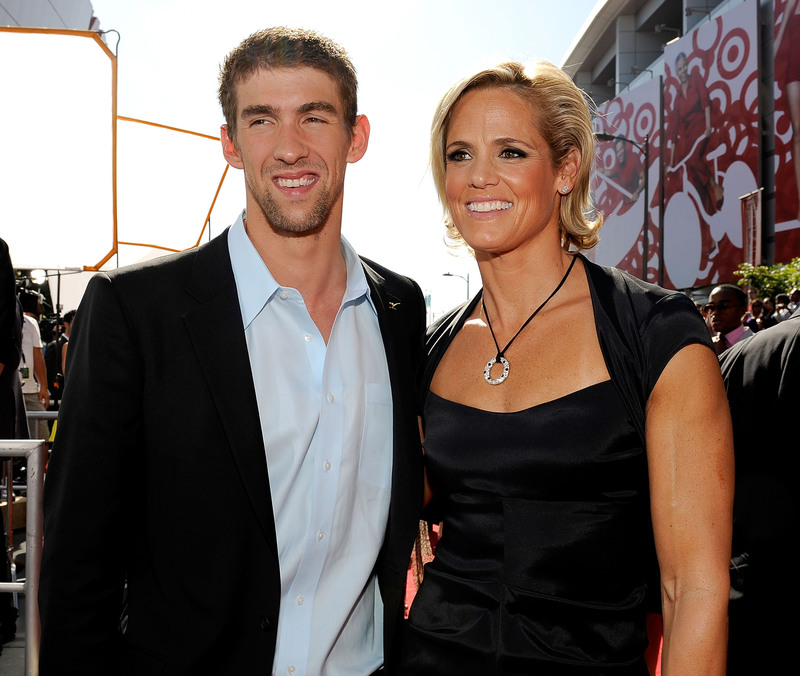 "If I was his competitor, I wouldn't say a word," four-time Olympic champion Dara Torres said Thursday. Phelps' duel with American teammate Lochte will be the main event in swimming at this year's Olympics and although their rivalry has been friendly and respectful - if intense - so far, the heat could go up a notch in London. Torres, who won 12 medals in an Olympic career that began in 1984 and ended in 2008, told The Associated Press that any trash talking or mind games would only work in 14-time gold medalist Phelps' favor. "He takes that very seriously and he uses that against his competitor," said Torres. Speaking at a sponsor's event in the heart of Olympic Park and next to the main stadium, Torres said the battle between the pair would be "fun" but they must remember that they're on the same team and it "stays in the pool." Phelps first competed at the games in Sydney as a teenager 12 years ago and also might reconsider his decision to retire after London and end the most successful Olympic swimming career ever, Torres said. He won a record eight gold medals in Beijing and has more Olympic golds overall than any other athlete. But, before he touches the wall for the last time at the Olympics, Phelps will face probably his biggest challenge when he goes up against Lochte - who won one of their head-to-head contests at the U.S. trials and beat Phelps twice at the world championships in 2011. They will compete against each other in the 200- and 400-meter individual medleys in London. "Obviously, people like showdowns and there is a showdown between Phelps and Lochte and it's going to be really fun to watch because they are both just fiercely competitive," Torres said. "There's finally someone at Michael's feet giving him a run for his money. Michael wants to win and Ryan doesn't want to lose, either." Torres, now 45, returned to swim in Beijing after sitting out the 2004 Olympics and won three silvers at the age of 41. It wouldn't be easy for Phelps to give up, she said, and no longer have something that's been a part of his life for so long. The 27-year-old Phelps has said he will retire after the 2012 Games - at a much younger age than Torres. "In his 20s, right?" Torres said. "I remember when he swam his first Olympics in 2000 at 15 years old. I think people forget that. You know what, he's always said that and he's pretty convincing that he's done after 2012. But no athlete knows what it's like to be out of their sport for a number of years and to not have the competition. "So never say never. He says that he's done and he very well may be but he has to wait and experience what it's like not being in the sport for a little while to see if he really is done." It may take some time for Phelps to realize he misses the pool. "It's not going to change immediately. He's probably like 'good, I'm done and I can do other things with my life.' But you know you miss it ... We'll see what happens," she said. Torres also isn't reading too much into the U.S. trial results, where Phelps finished ahead of Lochte in three out of four events. Torres also competed the trials, failing to secure a 50-meter freestyle spot for London in the only event in which she attempted to qualify. "You know what, trials are trials and the Olympics are a totally different atmosphere. This is where it counts. This is where it happens." Torres guaranteed seven medals for Phelps in his seven events - taking his career total to a record 23 Olympic medals - but wouldn't say whether she thought they'd all be gold.